Post-it® Flags help you find what matters. Fast! Available in a range of fun and bright colours to colour code or match your style, Post-it® Flags allow you to quickly and easily flag important information to share with others or refer to later on. Perfect for recipe books, magazines, study notes, diaries and documents. 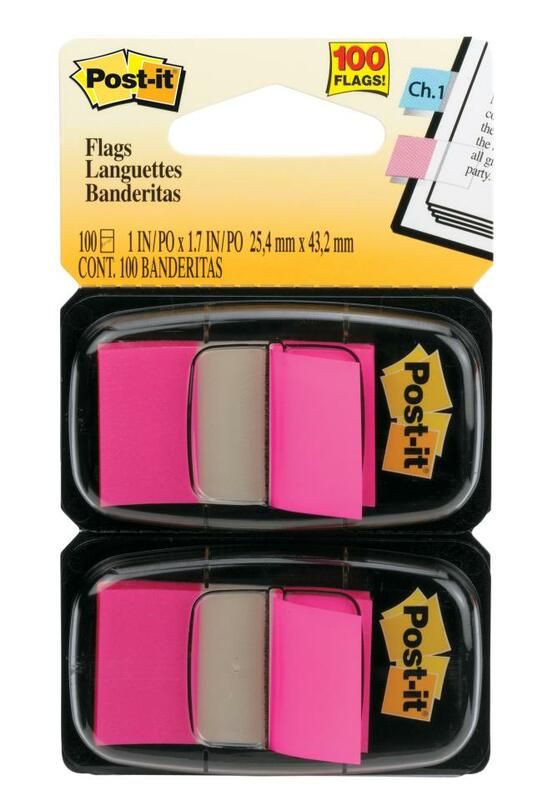 Save time and stay on top of your day with Post-it® Flags. Available in a wide range of colours to suit your needs.